London Transport Museum has announced its latest round of Hidden London tours. This summer, you can delve below the city and explore disused tube stations, including Down Street, passageways at Euston, as well as Clapham South's subterranean shelter. Down Street, between Hyde Park Corner and Green Park stations is a warren of narrow tunnels where the nation's railways were coordinated during the second world war, and Winston Churchill secretly took shelter at the height of the Blitz. Book the Euston station tour to discover a labyrinth of deserted passageways, and a gallery of vintage advertising poster fragments that have been hidden for more than 50 years. Clapham South Deep Level Shelter by Ronald Hackston via the Londonist flickrpool. Meanwhile, head down the 180 steps to the Clapham South deep-level shelter to explore more than a mile of subterranean passageways, and learn the extraordinary stories of those who sheltered here: Londoners seeking refuge during the Blitz; Caribbean migrants arriving on the Empire Windrush in 1948; and thrifty visitors to the 1951 Festival of Britain. If you prefer to stay above ground, you can enjoy a tour inside London's first skyscraper, 55 Broadway at St James's Park. This 1929 Grade I listed structure is a wonderful example of art deco London; visit and you'll see beautifully detailed offices from a bygone age, grand meetings rooms, and stunning rooftops views. 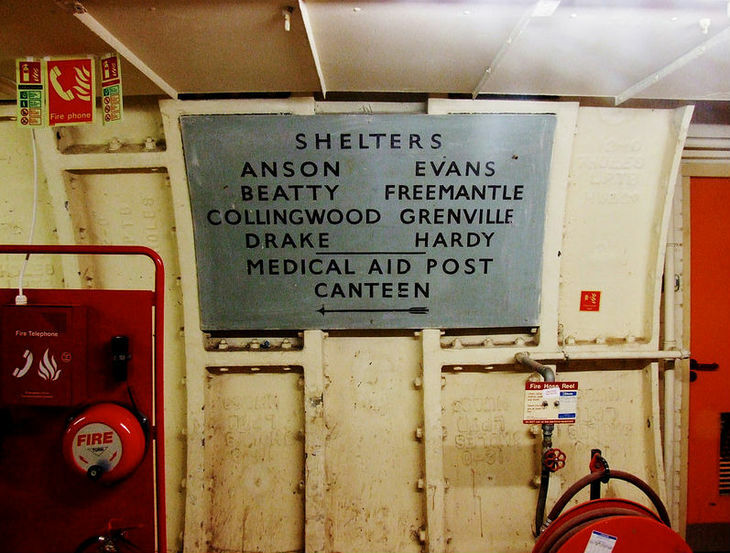 Tickets for all Hidden London tours go on sale on 20 April. All tours must be booked in advance, online, through London Transport Museum.